Enormous debt isn't the only thing afflicting Air India. Its work culture is an equal culprit in its downfall, discovers Manavi Kapur. Though the international airport at New Delhi is always bustling with passengers, early mornings are a particularly busy time. Amid the frenzied activity is a slow-moving row of check-in desks that belong to Air India. A member of the prestigious Star Alliance, India's national carrier also has the distinction of having one of the poorest and most outdated customer experiences. "There was once a time when I stood in queue for 45 minutes, only to be told that I needed to join another queue to pay for excess baggage. These delays can still be bearable if one is greeted with a pleasant smile," says a frequent business traveller. 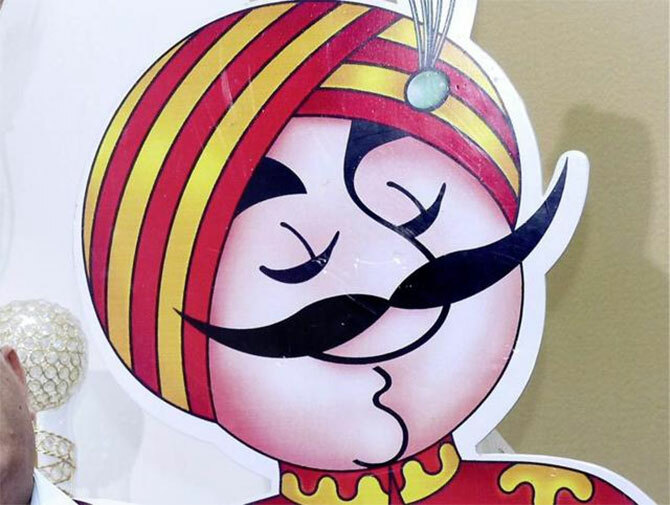 While the central government wants to privatise the airline for its crippling debt of nearly Rs 52,000 crore (Rs 520 billion), a complacent staff that lacks the professional verve, cumbersome processes and age-old bureaucratic hurdles are equally responsible for impeding the Maharaja's pace. Though the airline has reduced its wage bill over the past three years -- from 13.7 per cent in 2012-2013 to 9.3 per cent in 2014-2015 -- this has been primarily due to the fact that several of its senior employees were due to retire. Many of its other practices -- such as a high layover allowance and swanky hotels where the crew is made to stay -- still point to a pre-recession world of wasteful luxury. And then there are the redundancies, such as a dedicated Hindi desk that the airline has at each station, where nearly 500 men and women are employed for translating and transcribing matters in Hindi -- a pointless exercise in the age of the Internet. Within what appears to be a bloated organisation -- Air India has one of the highest passenger load to employee ratios -- there is also an undercurrent of conflict. 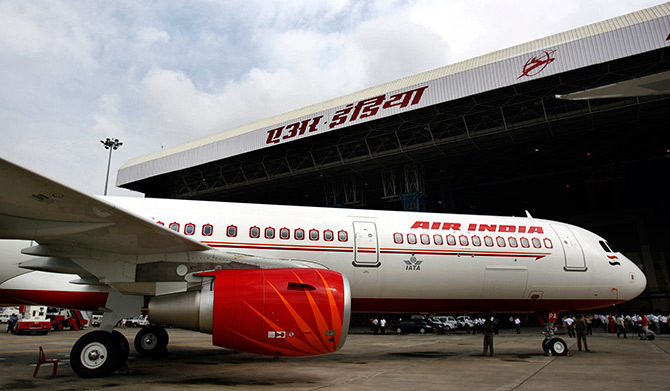 The government's decision to merge Air India, the international carrier, and Indian Airlines, the domestic airline, into one entity in 2007 weakened the average employee involvement in the company. Ten years on, not much has changed. "It was a clash of cultures that continues to date. 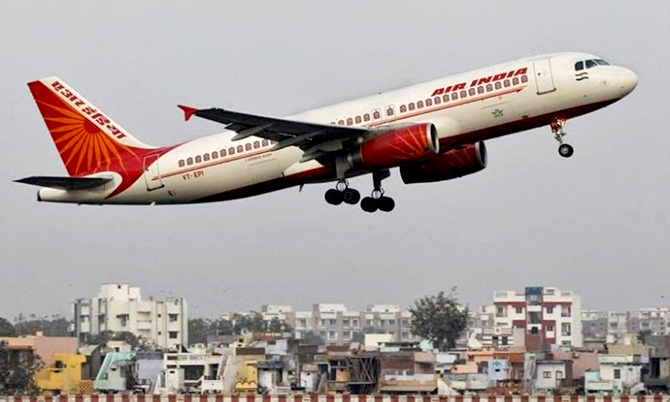 While Air India had strict standard operating procedures for all its flights, Indian Airlines staff was not used to this rigour," says an Air India commercial division executive, who requests he not be named. Given these conflicts, the professional ethos of Air India has been described by many as being sluggish, reflected in the pace at which files and projects are cleared. For instance, a supplier for Air India says that the reliance on physical paper is too onerous. "Even though it has a strong IT system -- sometimes too many conflicting IT systems -- the reliance on physical documentation is a big hurdle," he says. "Most of the paperwork does not even accept digital signatures, which can be exasperating when working with a global company that has its managers in various parts of the world," he adds. And then there is the bureaucratic hubris. "There are too many bosses," says an aviation industry consultant who has worked closely with Air India. So entangled are the processes that for a decision to be made and implemented, it takes close to a year. The same timeframe for Singapore Airlines, also its country's State-owned entity, is about three months. Take, for instance, the maintenance, repair and overhaul (MRO) unit in Nagpur. This facility was created at a cost of Rs 600 crore (Rs 6 billion) so that aircraft could be repaired in house and not flown abroad. It was also an ambitious project that was meant to generate skilled, technology-driven jobs. The in-principle approval was given in 2004, but the first aircraft was only sent to the MRO in 2016. The sluggishness is also a result of a lack of empowerment its employees have, especially for an airline that sees more than desirable interference of government authorities. The commercial executive says that in a market-driven environment, Air India loses out on business purely because of the various hoops one has to jump through to get approvals. 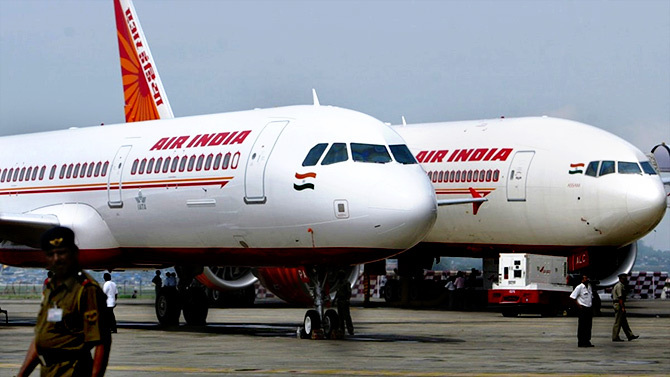 "While other carriers follow a dynamic rate policy for freight, Air India has fixed rates. In a competitive market, that is a big blunder, one that leaves even the most motivated managers and executives frustrated," says the commercial executive. For instance, when a cargo agent comes to him quoting a lower rate from a private airline for transporting freight, the executive's hands are tied. "By the time I can procure an approval from those higher up the order, the aircraft has flown and we've lost the business." In an industry where the most perishable commodity is the space sold on a flight, this can spell doom. "Besides, if I were to be proactive and get the business for the airline, there are chances of a vigilance file being opened against my name. I will be asked if I pocketed the difference in the fare," he says. The aviation consultant also believes that this fear of "consequences" contributes to a mentality of playing safe and merely deferring decisions to buy more time. In the choice between moving freight at a lower rate or losing the revenue altogether, Air India seems to choose the latter. But things weren't always so. Air India, in its heyday, was the talent pool that newly founded airlines dipped into for hiring its crew and ground staff. A former senior executive remembers how graduates from the country's premier Indian Institutes of Management and Indian Institutes of Technology would be hired off campus and groomed at the airline. "The core technology and business employees are still those with the maximum amount of skill." On an average, according to industry veterans, over 50 per cent of middle- and senior-level executives at West Asian carriers such as Emirates and Etihad Airways are from India. Of these, a majority are Air India alumni. But even this scenario points to a strong talent pool that existed about 10 or 20 years ago. A 22-year-old cabin crew member of a leading private airline says that Air India was one of her top choices initially, but only because it was a government job. "That job security would have been quite welcome. But eventually I decided against working for what I think is a laidback organisation," she says. Besides, the lack of either a reward or a feedback system is demotivating. "When I complete a particularly good flight service, my manager can give me an official thumbs-up. That is quite a feather in our caps." A similar model of the proverbial carrot or the stick is almost entirely lacking with Air India, where jobs are secured by mere fact of tenure and perks are guaranteed irrespective of performance. And the perks too are usually way above the industry standard. While a junior cabin crew member at a private airline earns about Rs 50,000 a month, an Air India crew member makes almost twice the amount. Once permanent, they are allotted houses in upscale neighbourhoods of metropolitan cities. In Delhi alone, Air India owns 30 acres of space in Vasant Vihar. There are flats here for employees across five categories, ranging from 700 sq ft to 2,200 sq ft. While a revised policy for rentals was notified in March, the rentals are still lower than what the property would fetch in the open market. For instance, a 2,200 sq ft home would be available in the Air India colony for Rs 41,000 a month. For such a prime location, the average rent would be at least double that amount. In Mumbai, such flats exist in tony neighbourhoods such as Cuffe Parade and Malabar Hill, where a small two-bedroom flat can cost up to Rs 3 crore. Add to this the near-free air travel for the staff and its family, for life. In the case of layovers too, it is common practice among low-cost carriers in India to make crew stay on twin-sharing basis in hotels close to the airport. In the case of Air India, at least in New Delhi, these rooms are booked largely on single-occupancy basis at The Ashok, which is about 15 km away from the airport. "And when the commander stays, he wants to be upgraded to a suite. 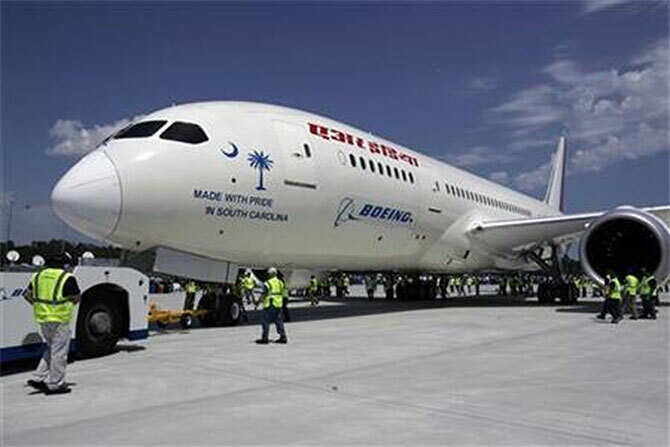 It's exactly the babu attitude one accuses Air India of exhibiting," says the commercial executive. "These perks need to be monetised to truly understand what an Air India employee is entitled to," says a former senior Air India official. Adding to its woes is also the perception battle that the airline faces. 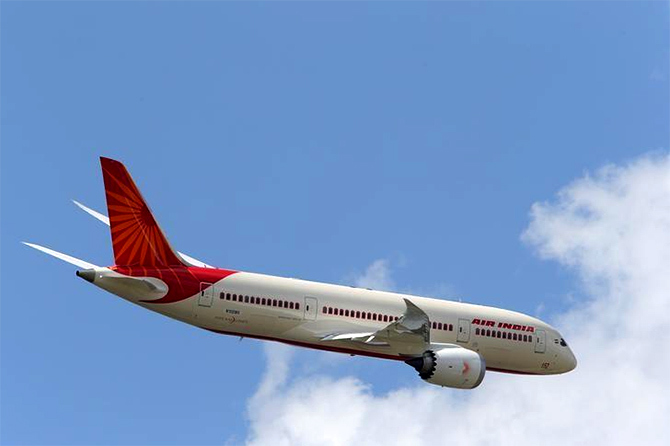 In a FlightStats survey that was published in January, Air India was shown to have 61 per cent of its flights arriving on time. But the portrayal of this data was turned around by news organisations to highlight how it was the third worst airline in the world. Air India's own presentation and optics don't help matters much. Inside Airlines House in New Delhi, a time-machine stuck in the late 1980s and early 1990s seems to have been created. Electrical switches are reminiscent of old television advertisements and walls need a fresh coat of paint. Inside an officer's cabin, a rusty mirror has a vintage Boeing 747 sticker stuck to it. Like its fuel-guzzling old aircraft, the air-conditioner seems to belong to an era before energy-efficient appliances were created. Everything screams, in common parlance, sarkari. Air India did not respond to interview requests. And it isn't easy living with a legacy, either. The erstwhile Tata Airlines and brainchild of J R D Tata, Air India was nationalised by then prime minister Jawaharlal Nehru in 1953. These were its glory days, with a monopoly in the aviation industry and a fledgling customer base that was only just beginning to fly. While a seller's market ensured it made money, a political milieu of trade and labour unions dictated much of its work culture. When the Indian air space was opened up to private carriers in 1991, not only did Air India lose market share, it was also saddled with outdated human resource policies and a unionised workforce that paralysed it. "The practices of the airline have not been updated since the 1970s. 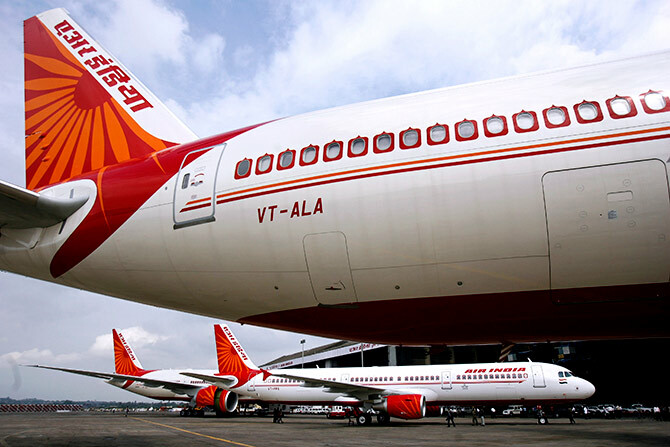 If we think the airline can be successfully run even by a private entity when it is burdened by this legacy, we are living in a fool's paradise," says Jitender Bhargava, former executive director at Air India and author of The Descent of Air India. In his scathing account of how affairs at the airline were mismanaged, Bhargava points to the problem of a weak human resources division and not enough focus on training and mentoring staff. The aviation consultant concurs. "Air India is not an airline that focuses too much on succession planning. Because promotions are based on seniority, all senior management is close to retirement." "So any project tends to see a lot of delay because of this changing roster and a lack of continuity," he says. IMAGE: Is privatisation the answer to AI's woes? Bhargava points to a more systemic problem. "No minister tells the staff to not give good service to Air India customers. There is an inherent attitude issue that needs some reflection." 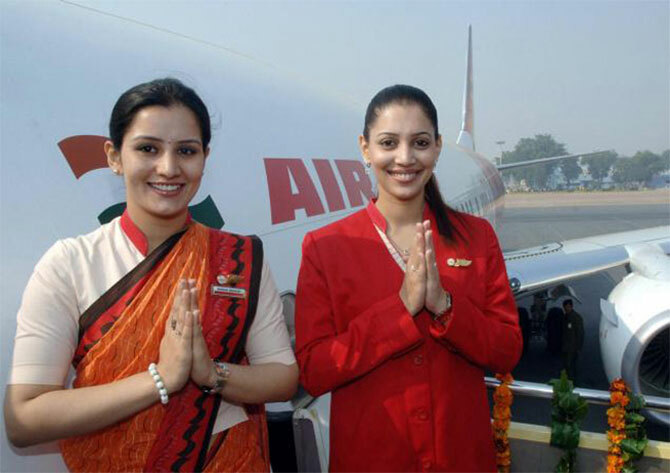 "You cannot compare Air India with the young airlines. They do not have the baggage that legacy carriers do," says the former senior official. "No one discusses if a sandwich sold on any other aircraft is bad, but the quality of food served on Air India flights is debated in Parliament," he rues. He believes the talk that Air India might be privatised would further demoralise its employees, just when it has begun to stabilise and posted an operating profit of Rs 105 crore (Rs 1.05 billion) last fiscal. 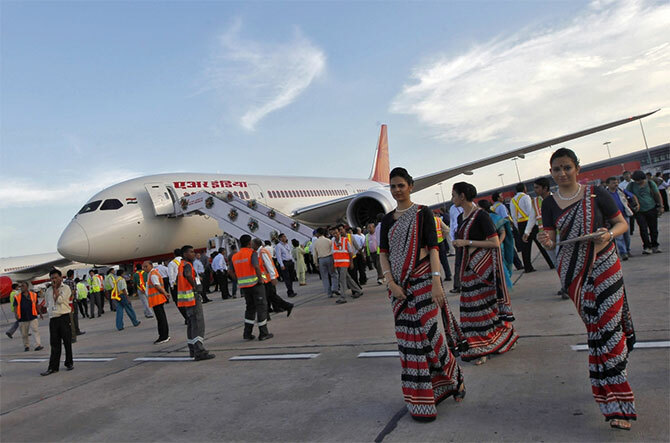 Reports suggest that Tata and Singapore Airlines might bid for Air India. "We need to ask ourselves if privatisation really is the route," says Bhargava. "If Air India is given a free hand and is run professionally, it can turn its fortunes around." But for now, like its offices that refuse to step out of their time capsule, Air India, too, seems to be clutching on to the past. Isn't it time to get rid of Air India?